cutout cookie sandwiches | what is clara eating today? mix dry ingredients together. mix wet ingredients together and mix in the dry mixture. pour out to a parchment paper and fold the parchment paper over. 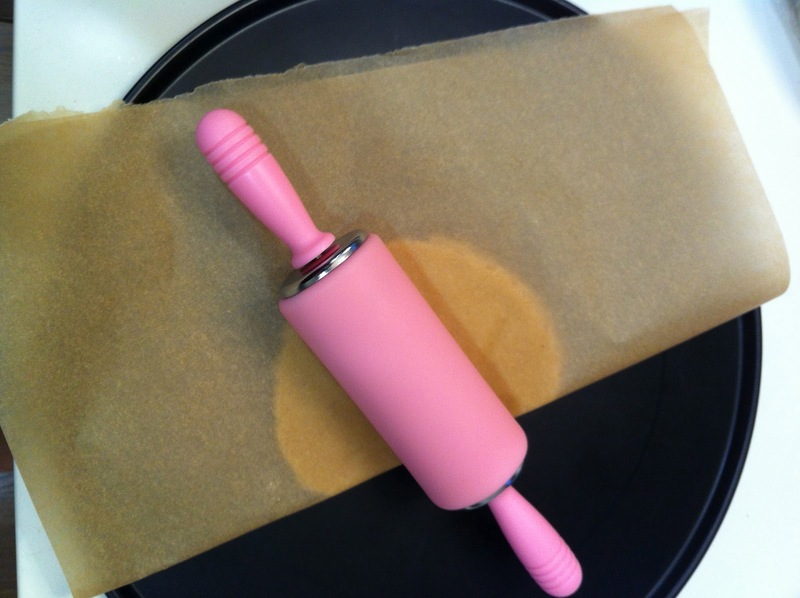 roll out the dough to about 1/8 – 1/4 inch thickness. place in freezer for about 20-30 minutes. 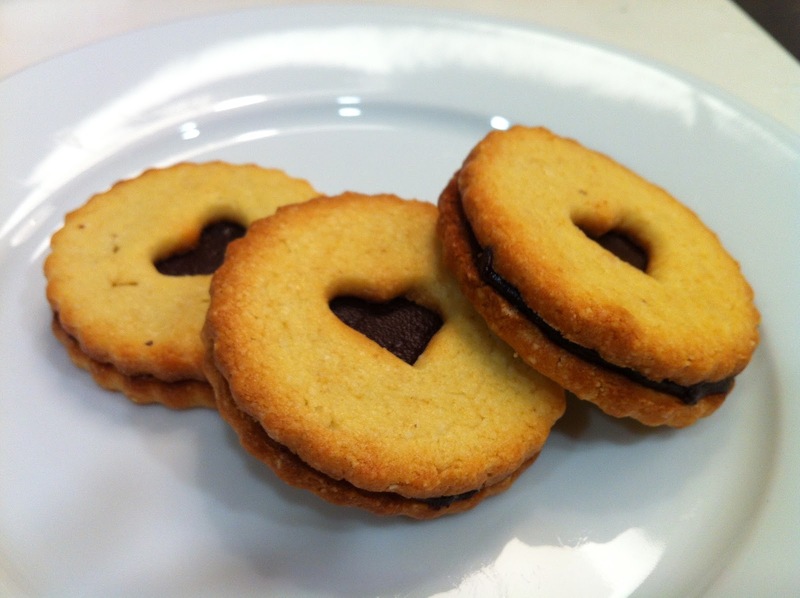 cut out cookies to desired shapes. bake at 350 for 6-8 minutes until the edges start to brown. it the cookie cool completely before icing. for chocolate filling, heat cream, Splenda, and chocolate pieces in a small sauce pan, mixing well. add butter and mix well. let it cool and thicken for about 30-40 minutes. to make the sandwich, use a spatula to spread the chocolate on a solid cookie, then top it with a cut-out cookie. let the chocolate harden completely before serving.